Employer’s Agent, Quantity Surveyor and CDM Advisor. Wakemans were retained on this project as Employer’s Agent, Quantity Surveyor and CDM Advisor by developers AC Lloyd. 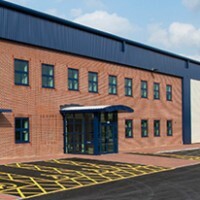 This project involved the construction of a 52,000 ft² manufacturing warehouse with offices for Leeson Polyurethanes Ltd – the country’s largest specialised manufacturer of formulated polyurethanes, a polymer which has various uses from serving as an adhesive to being moulded into products such as binders and coatings. The manufacturer was previously occupying a smaller unit at Tachbrook Park, however due to a period of sustained growth the company commissioned developer AC Lloyd to provide them with larger premises. The new premises were designed to meet the specific requirements of the manufacturer and were completed in September 2014 with a contract value of £2.3m.